Today Only, Earn 3x the rider rewards points on all qualifying purchases! Not a member, join today! Just stop by the shop. *Limited time 3x reward points promotion is only valid on purchases made on 11/23/18. Northwest Harley-Davidson will not apply the promotional multiplier day to items that are returned with the purpose of repurchasing the item to take advantage of the promotion. 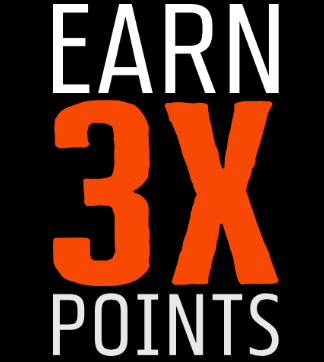 Current rewards members: Earn 1 points per dollar spent x 3 = 3 points per dollar spent. Active Military rewards members: Earn 2 points per dollar spent x 1.5 = 3 points per dollar spent.